Learning Community Charter School is a part of the Charter School Athletic League (CSAL), which is a division of the New Jersey Education Consortium. We currently have a competitive girls' and boys' basketball team, a co-ed soccer team, a co-ed volleyball team, as well as a co-ed dance team, all comprised of our middle school scholar-athletes. Additionally, in 2015, we added a 5th-8th grade cross country team/running club with an added, 2017 bonus, of a co-ed track team! Our boys basketball team, The Jags, are comprised of middle school students from 6th, 7th and 8th grade and is coached by Angel Melendez, who is the head coach, and Jerome Davis, who is the assistant coach. Any questions about our boys basketball team, please contact Angel Melendez at AMelendez@lccsnj.org. Congratulations to the Boys on winning the 2019 CSAL Championship!! This is the first Basketball title for LCCS. Our girls basketball team, The Jags, are comprised of middle school students from 5th, 6th, 7th, and 8th grade and are coached by Stephanie Megaro, who is the head coach, and Melissa Megaro, who is the assistant coach. Any questions about our girls basketball team, please contact Stephanie Megaro at SMegaro@lccsnj.org. In the spring of 2014, we officially launched our first co-ed soccer team. Our soccer team is comprised of middle school students from 6th-8th grade and are coached by Scott Silva, head coach and our assistant coach is Samantha Vargas for the 2018-2019 school year. Any questions about our soccer team can be directed to Coach Higgins at ahiggins@lccsnj.org. Soccer practices on Mondays and Wednesdays at Lincoln Park, if inclement weather, the team will practice in the Gym. In the spring of 2016, we officially launched our first co-ed volleyball team. 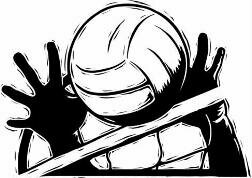 Our volleyball team is comprised of middle school students from 6th-8th grade. Our head coach is Ms. Charlotte Carr, and is assisted by coach Franni Russo. PRACTICE DAYS ARE EVERY TUESDAY AND THURSDAY; 3:30-5:00PM @LCCS GYM. In the winter of 2016, we officially launched our first running club. Our running club will be comprised of middle school students from 5th-8th grade, boys and girls. The club's facilitators will be Christina McGarry and Ms. Hynes. We also have a competitive, fall cross country team and spring track team that competes in the CSAL and meets around the state.